They are the only Growers’ Only Market in North-Central Florida. Everything sold at this market is grown within 50 miles of the Market, by the local farmers you see selling the produce. The farmers enjoy meeting you and talking about their products. Ask questions about the varieties offered. Get tips on how to prepare your purchases. Learn the best ways to keep the plants you buy thriving. The growers are experts and are always happy to give you the information you need to appreciate your purchases. 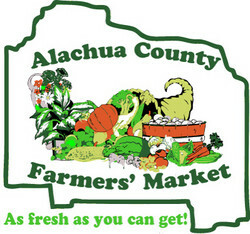 Visit the Alachua County Farmer’s Market website.